Comparisons with Brutus's slaying of Caesar have been rife. Michael Gove's eleventh-hour decision to withdraw his support for Boris Johnson's leadership bid and announce his own bid, thus taking a sizeable amount of MP's supporting Boris with him, was viewed as an act of Machiavellian betrayal; not out of place in the current turbulent political scene yet still stunning in its barefaced ruthlessness. With Boris now the foreign secretary - a masterstroke of an appointment with 'box-office Boris' able to amplify the British brand abroad like no other - the tables have turned somewhat with Gove relegated to the back benches with his integrity called into question. One of the great reforming voices of the Conservative Party, Gove has been a vital utensil of intellect inside David Cameron's government since 2010 and was seen as as someone with remarkable acumen during his prominent role in the Vote Leave campaign where he passionately delivered his aspiration to leave the EU in his characteristically composed manner. Synonymous with polite, courteous but above all noble behaviour, the backstabbing of Boris is aberrational for a man whom even his fiercest of critics would acclaim as well-mannered and seemingly loyal. 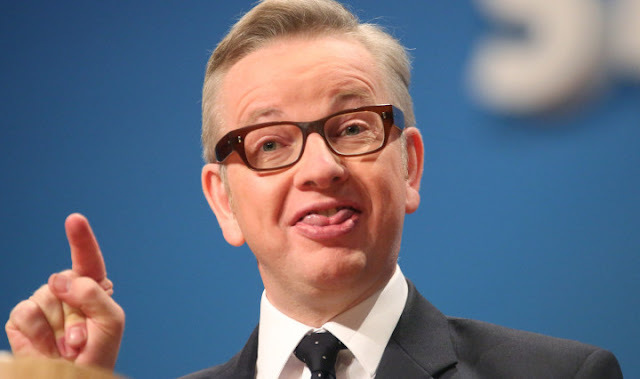 What exactly were Gove's motives remain at large and a matter of curiosity for many, not least those who were and remain of the opinion that Gove would make a very capable prime minister, despite his protests to the contrary that he lacks the required je ne sais quoi. Indeed, the prospects of a Boris-Gove one-two at the top of British politics with Gove assuming the role of Chancellor of the Exchequer to Boris's function as prime minister excited many in the Conservative ranks particularly the Tory grassroots. Gove was seen as giving essential intellectual buttress and vitality to the Boris campaign amid accusations that Johnson wasn't sufficiently political or serious. With claims of laziness and organisational carnage against Boris still in circulation from his time as a journalist, one wonders whether this was perhaps a factor which sowed the seeds of doubt in Michael Gove's head and convinced him he would be better off running himself to guarantee the instalment of a prominent Vote Leave campaigner in Number 10. But not implausible is the case that this might have been an insidious plot or an impulsive power-hungry desire. We may never find out. Despite Boris pulling out of the race to become Tory leader, Gove's gamble failed. He had lost his traction amongst Tory MP's and had sullied his reputation with what was seen as an act of treachery by those in the Boris camp and beyond, whilst those close to David Cameron were still unable to forgive Gove for not only campaigning for Vote Leave during the referendum campaign but more significantly, perpetually attacking Cameron's record in government most notably in regard to immigration. Cameron and Gove, who are longstanding friends, have had an uneasy relationship ever since. Even amongst Conservative party members, where in direct contrast to sentiments across the country, Gove had always remained popular and was riding upon a stallion of admiration after his impressive role in the Brexit campaign, support was said to be dwindling. Gove's demotion to the back benches does not mean we have seen the end of him however. Theresa May is reported to have told Gove that she is not confirming that there is 'no way back' for him or that he will 'never serve in the government' but 'loyalty is something on people’s minds' and it would perhaps help if Gove 'could demonstrate that loyalty from the back benches'. Indeed under different circumstances, Gove would likely be tasked with leading the Brexit discussions and negotiations with the EU; a job given to David Davis instead. Indeed, it is my belief that Gove will be back; a too significant intellectual bastion to be perennially jettisoned. Particularly with the Tories advancing along the avenue of 'compassionate conservatism' under Theresa May, Gove's reforming experience and innovation will be needed. However, most would deem it improbable as to whether he can now be seen as a future prime minster. He has acquired infamy with the most spectacular political assassination of recent times; an act which has ultimately backfired. With Boris now in a prominent role within the government, a role which can only nurture his talents and inflate his reputation, he will be once again the bookies favourite to succeed Theresa May when such a time arrives. Gove will eventually return to the forefront of domestic politics. But he will remain forever free of the burden of running the country. This seems a sophomoric attempt at political analysis. Embarrassing really. Essentially a poorly plagiarised version of the past month's Daily Telegraph. I agree with the above. The author hides his shallow understanding of the political world behind a sea of synonyms. A particularly glaring error was how he used the much used box office line in relation to Boris, when it's currently being used to describe Phil Hammond. Get rid of these uneducated morons who clearly sift through mainstream media and then dress it up as their 'own' opinion. Ban him. The criticisms of this article are hugely over blown. It's well written and will I am sure be proved more or less correct.